Wisconsin, Monster Capital of America? Forget Football and Cheese. My Home State Should Be Famous for Its Shaggy Werewolves and Shape-Shifting Schoolteachers. The Pine Barrens of New Jersey may reverberate with the fetid screams of the cloven-hooved demon known as the Jersey Devil. The redwood forests of the Pacific Northwest may shake from the footfalls of the 9-foot, fur-covered primate known as Sasquatch, and America’s Southern swamps may teem with scaly, web-fingered lizard men. But my home state of Wisconsin is as well-known for sightings of things that look like fanged, shaggy werewolves as it is for cows, cheese, and the Green Bay Packers. Why Wisconsin? Why not Wisconsin? An inherent and sensible trait of the successful monster is that it can show up anywhere; unpredictability is key to inflicting a proper scare. Still, after 22 years of looking into reports of unknown beasts from around the United States, I’ve noticed that some places are consistently more monster-rich than others. The Dairy State is one of them. My first brush with this phenomenon came in 1991 when, as a reporter for Delavan, Wisconsin’s The Week, I broke the story that a Walworth County animal control officer was recording reports of an upright, wolf-like creature I called the “Beast of Bray Road.” I realized that sober, credible people from Rhinelander to Potosi have long claimed encounters with dogmen, Bigfoot, giant storks, super-sized humanoid bats, lizard people, pigmen, goatmen, out-of-place kangaroos, lake monsters, UFOs, and even an aggressive tribe of weird, tiny-baseball-bat-wielding little people that folks around Muskego Lake call the Haunchies. I could go on. Knowing my state as I do, I believe that there are some good reasons for this abundance of beasties, and that those reasons stem from the breathtaking diversity of two things: Wisconsin’s people and its land. Woods and fields where the Bray Road Beast is said to roam. Let’s start with the land. Yes, those bucolic, cow-filled pastures that comprise most people’s mental image of Wisconsin do exist, but they are bounded by the deep pine forests of its northern half, the river bluffs and yawning gorges of its western counties, the Kettle Moraine State Forest with its deep, round washbowls slashing through the southeast, and the 30 miles of ancient, red quartzite hills that form the Baraboo Range and anchor the state’s rocky heart. 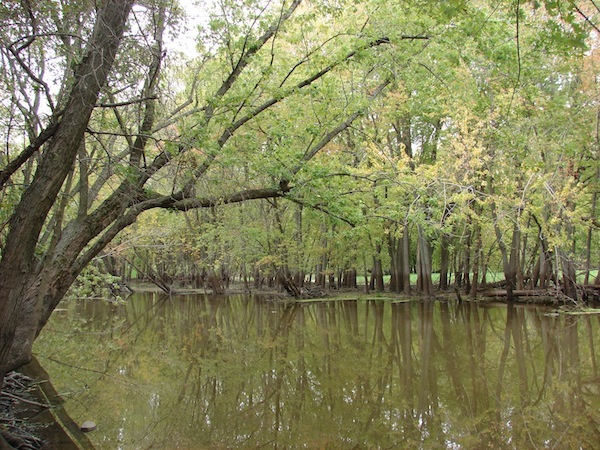 Toss in major rivers like the mighty Mississippi and the serpentine Wisconsin that spread into myriad lakes and marshes, add the windswept shores of lakes Superior and Michigan, and the amazingly varied habitat that is Wisconsin begins to emerge. For millennia, this wild backdrop inspired indigenous people—the Ho Chunk, Algonquians, Mississippians, Fox, Sac, Ojibwe, and others—to tell stories about living cheek by jowl with every monster imaginable. Stormy nights brought the massive flying raptor known as Thunderbird whose eyes and wings created lightning and thunder. This spirit bird hovered over the rough waves to battle Mishipeshu, the horned water panther, as a lordly river serpent known for carving out the Wisconsin River looked on through dinner-plate-sized red eyes. In the winter, when game grew scarce among the snowy pines, many northern tribes watched carefully for signs of Windigo, a dark spirit that could possess a starving person and turn him or her into a cannibal. As it fed, the Windigo grew into a gaunt, skeletal giant made mostly of ice. If defeated, its melted remains would reveal the shriveled carcass of its original victim. 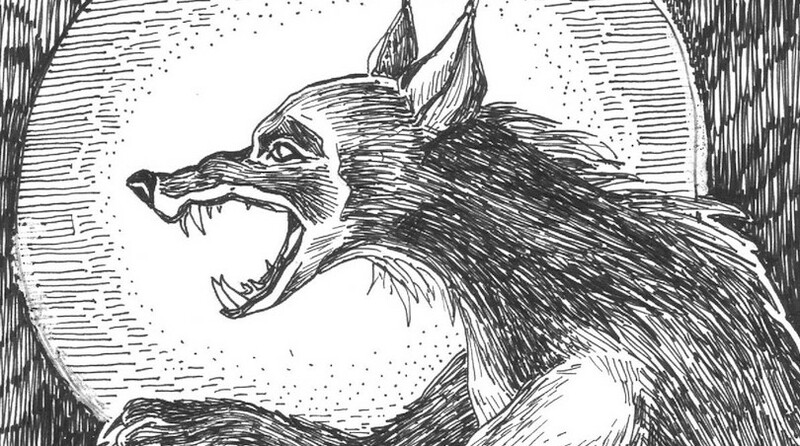 When fur trappers, traders, and Jesuit priests of European descent landed along the shores of lakes Superior and Michigan in the 17th and 18th centuries, they introduced their own tales of European monsters—werewolves and little goblins chief among them—to lake ports like Green Bay. They and the settlers that followed them added names like Fairy Chasm, Black Earth, and Devil’s Lake to the landscape. In the 1800s, more legends of upright wolves howled their way into the state’s interior along with settlers from German-speaking lands. One alleged werewolf named Gross made its living as an itinerant dance master in the Dane County town of Springfield Corners in the 1840s. When a prosperous farmer from whom Gross rented a room was found dead, the townsfolk blamed the suspected shape shifter, who eventually died and was buried in a nearby cemetery. Although it was never proved, the tale persisted well into the 20th century, when state folktale specialists recorded it. More immigrants—Yankees, Poles, Italians, Bohemians, Slovaks, Irish, Dutch, African-Americans, Hmong, Latinos, and more—found their way here and brought their own vampires, chupacabras, and phantom hounds with them. On top of that, lumberjacks hired to cut down the northern forests invented mythic beasts like the cougar fish and the snow snake and added them to the spooky mix. But there is more to it than sheer diversity. Wisconsin is a state that doesn’t mind being known for its love of cheese. Its people are used to being referred to as “the flyover state,” and they don’t give a goatman’s whisker about what people of any other region may think of it. This is the sort of attitude required of anyone willing to avow that Bigfoot lurks in the back 40. 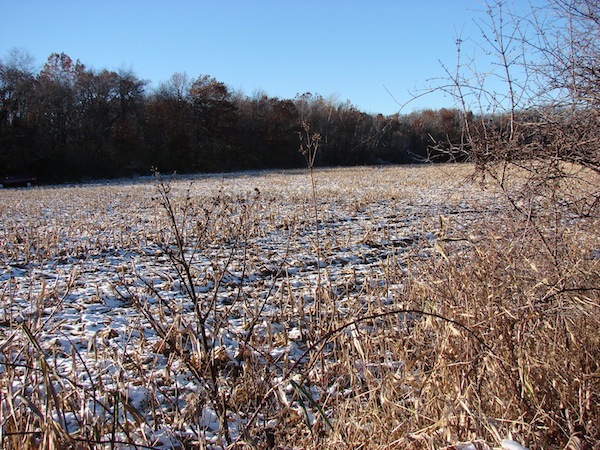 It takes true intestinal fortitude buoyed by bratwurst and a lifetime of self-reliance for a man to report that a humanoid bat with a 15-foot wingspan almost took out the windshield of his pickup truck, as did one resident of the La Crosse area in 2006. Does Wisconsin really harbor more monsters than any other state? I don’t think we know, and I don’t think most residents care where the state stands on a monstrous scale. All I can say is that we boast more than a few citizens who aren’t afraid to call a pigman a pigman when they see one shopping at the second-hand store in downtown Marshfield. I think the monsters know and (grudgingly) appreciate that candid nod to their existence. And this is the true reason they are here. Linda S. Godfrey is the author of 16 published books on strange creatures and phenomena. Her most recent book is American Monsters: A History of Monster Lore, Legends, and Sightings in America. 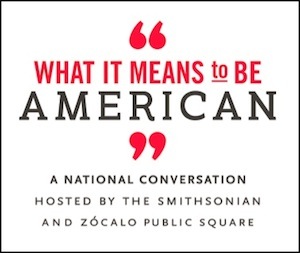 She wrote this for What It Means to Be American, a national conversation hosted by the Smithsonian and Zócalo Public Square. This essay is part of a Zócalo Inquiry, Why We Need Monsters. Buy the Book: Skylight Books, Amazon, Powell’s. *Images courtesy of Linda S. Godfrey.